Our bespoke menu's can be designed with innovative techniques including smoke, dry ice & liquid nitrogen. 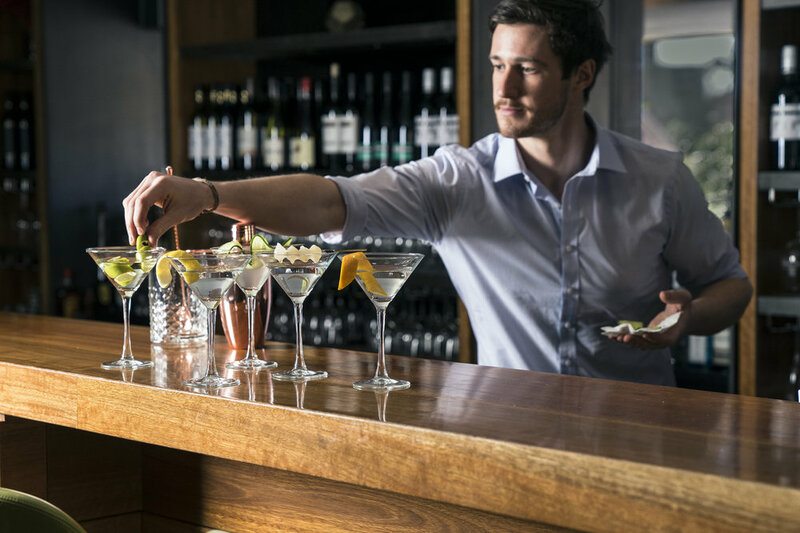 We also offer high-end beverage options to cater offsite events including the creation of bespoke cocktail menu's for Weddings, Events or Special Occasions. We have extensive experience doing events from as small as 20 people to as large as 200 and have assisted events all over the world including Fiji, Melbourne, Sydney, London & Indonesia. As we are based in Sydney, events outside of this area will also incur an affordable travel fee. Event cocktail made for the Australian launch of the Coke + Coffee in collaboration with The Urban List & Coca-Cola Au. Kurtis here featured on the cover of Australian Bartender Magazine 2018. We also offer the ability to create content for your bar or brand. In the way of recipe creation, photography, imagery of your product, hosting events, putting you in contact with other photographers & videographers. Having successfully setting up @cocktailsbykurtis on instagram, the team know how to create content and brand awareness for your product or venue. Gaining insights as to best market your brand to consumers is key to gaining recognition in the industry or getting foot traffic through the door. This brand awareness and content creation has led Kurtis to be consistently featured in publications including Australian Bartender, Bar Fly, The Daily Telegraph, Drinks World, Hoteliers, The Shout and PreShift Hospitality, whilst also featuring on Tv & Radio shows on a monthly basis. Without brand awareness, there won't be any consumers. Without Consumers, there won't be anyone to sell your product too"